CAIRO, Mar 30 2011 (IPS) - Egyptian authorities have opened dozens of criminal investigations into hundreds of millions of dollars worth of public land contracts that were awarded illegally to real estate developers associated with former President Hosni Mubarak without proper procedures at below market rates. The current probes are the first steps, and perhaps the most obvious, that emerge in post-Mubarak Egypt towards the country’s new economic future – – one many here say could be less susceptible to cronyism and shady deals by government officials. “The (Mubarak) authoritarian regime supported a class of land speculators and marketed them as if they were real developers and entrepreneurs with real projects,” said Mamdouh Hamza, civil engineering professor at Suez Canal University and a frequent public speaker on land corruption issues. The investigations, backed by the country’s current rulers in the military, who came to office after Mubarak was ousted on Jan. 25, are designed to placate angry Egyptians who feel they have been ripped off by the previous regime. 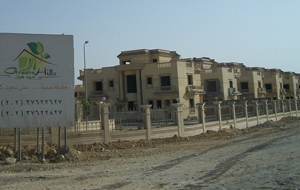 The official Central Auditing Organisation, a government watchdog that was marginalised under Mubarak but continued to amass reports on official corruption, estimates that the country could recoup some 75 billion Egyptian pounds (12.7 billion U.S. dollars) from land sold as cheap farmland but later vended as residential mansions and luxury units, especially around the 220- kiometer Desert Road between Cairo and the Mediterranean city of Alexandria. The former Housing Minister Ahmed Al-Maghrabi now in prison, stands accused of awarding Palm Hills Developments, in which he is a shareholder, hundreds of acres of land at such rates “using only his signature”. Al-Maghrabi faces several other charges including selling land at 300 Egyptian pounds (50 dollars) per meter when the real price was 5,000 (850 dollars) to a Saudi real estate mogul in Cairo. The same panel also recommended cancelling another deal with Saudi billionaire Prince Waleed bin Talal to sell 100,000 acres in the southern part of the country at a rate of 50 Egyptian pounds (8.40 dollars) per acre when the government was selling similar land to Egyptian university graduates for 22,000 Egyptian pounds (3,700 dollars), the panel said.